The disturbing photos were submitted to the court as evidence. Disturbing photos of the murdered Van Breda family gives one an idea of the slaughter that took place on the night of the killing. Judge Siraj Desai has ruled that the photos, which were submitted to the court as evidence, may not be published. 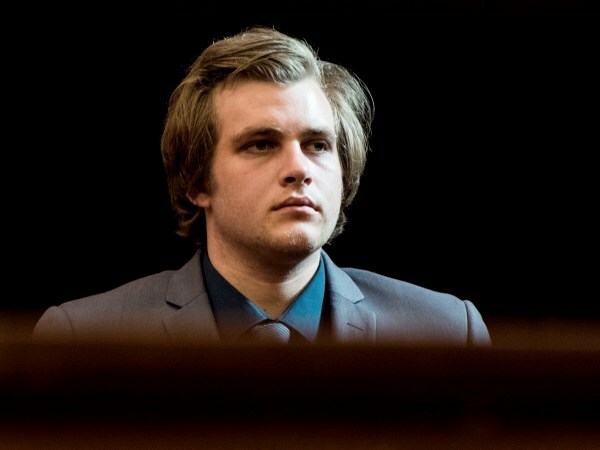 The case, in which Henri van Breda is accused of murdering his father Martin (54), mother Teresa (55) and older brother Rudi (22) with an axe, continued in The Cape Town High Court on Tuesday. The bodies of the Van Breda family were found around 7am at the De Zalze Golf Estate in Stellenbosch. Henri’s little sister, Marli (18) survived the attack with a serious head injury. The room with the grey bedding, in which Rudi and Henri slept, was turned into a bloodbath during the attack. The photos indicate that Rudi laid at the foot-end of one of the beds and Martin halfway on the other. Both were shirtless and in pyjama pants. Teresa’s body lay in the passage outside of the room, with her pyjamas pulled halfway up. Next to her stands a bookrack. The sheets of the bed that Martin lay on, is drenched in blood and a section of the wooden floor, where Rudi lay with his arms folded under him, is full of smeared blood. A pair of blue sneakers is placed close to Rudi in the blood on the ground. Between the two beds stands a table with, amongst other things, a box of tissues, deodorant and a bottle of cream that’s fell out. There are also bloodstains against the lampshade on the table. Some of the photos show cuts to Rudi and Martin’s skull but it’s unclear exactly how many times they were struck. In the bulky file filled with photos, one can also see photos of an unflushed toilet, a washing line with linen, as well as pictures that were taken during the post-mortem examination.